What should we do about the trace chemicals found in drinking water? Lack of funds threaten to shut down a monitoring system for southeast Michigan's drinking water. Before I talk about the small bits of chemicals often found in drinking water, I want to direct some attention to the national water contamination story going on now because I think it reveals something. The nation has its eyes on a nine-county area in West Virginia that’s under a state of emergency. A coal-processing chemical leaked into a river and poisoned the drinking water there. Cleanup is ongoing. 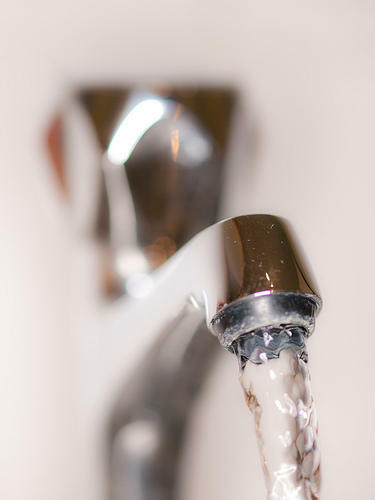 As they attempt to flush the chemical out of their drinking water systems, officials are trying to determine what level of the chemical is safe. Ken Ward Jr. of the West Virgina Gazette reports that local and federal officials are saying that "1 part per million" of crude 4-methylcyclohexanemethanol (the coal processing chemical) is safe for people to drink. When asked for more information about where the number came from, Department of Health and Human Resources Secretary Karen Bowling pointed to the "material safety data sheet," or MSDS, from Eastman, the maker of the chemical that leaked. Bowling, though, downplayed the fact that there is precious little toxicological data and few – if any –public and peer-reviewed studies of what the chemical would do to humans if ingested. There it is. The research on how these chemicals affect our health can be pretty thin. Around much of the nation, the fact that chemicals get into our drinking water has been known for some time. We’re talking tiny amounts. Scientists use terms like "parts per billion" or "nanograms." The kinds of chemicals found depends on what gets into the water. Larry Sanford is the assistant manager of the Ann Arbor Water Treatment plant. On a recent tour of the plant, he read from a list of chemicals researchers found going into the drinking water supply. These were trace amounts of chemicals found after the treatment process. "Ibuprofen… Carbamazepine – I’ve never said that word before. Seventeen b estradiol … 17 a ethinyl estradiol, and estrone, and estriol, and cholesterol, and coprostanol." 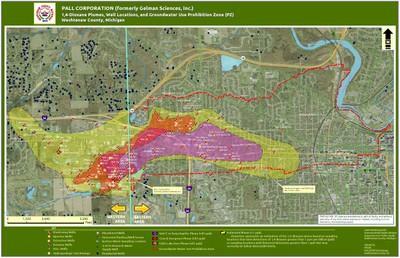 Baylor University researchers tested the drinking water in Grand Rapids, Monroe, and Ann Arbor back in 2005. The researchers were looking for trace amounts of pharmaceuticals and personal-care products in the water. Our bodies don’t take up all of the medicine in birth control pills, or antidepressants, or even coffee. You go to the bathroom, and the extra stuff gets flushed down the drain. Small amounts end up in the drinking water. The water samples in Ann Arbor showed that 19 different types of drugs were going into the treatment plant. And the treatment process took out eight of them. That’s what researchers are trying to figure out right now. What’s worth worrying about, and what’s not? The U.S. Geological Survey and the EPA recently tested water samples from drinking water plants around the country. They found more than a third of these plants had trace amounts of 18 unregulated contaminants. In addition to leftover drugs, they found traces of many industrial chemicals, and traces of pesticides too. Linda Birnbaum is the Director of the National Institute of Environmental Health Sciences. She’s one of the nation’s leading experts on how exposure to these contaminants might affect our health. I had her look at the list of chemicals found in drinking water. She told me that several of the chemicals found were of some concern, such as the perfluorinated compounds and some of the pesticides. But she said, "Again the levels are very low." So should we not be concerned at all? "Well, the answer is we’re beginning to find out that continuous low level exposure, may in fact be problematic," said Birnbaum. She says studies are beginning to show that continuous low-level exposure to some chemicals might harm the endocrine system. The endocrine system regulates how your body grows and how you behave. That’s why researchers are focusing on how this stuff impacts pregnant mothers, developing babies, and kids. The EPA is still gathering more information. They’ve called for more testing at water treatment plants, and they have a list of chemicals they’re watching for. Federal regulators call these "emerging contaminants." The Ann Arbor Water Treatment Plant just started a year-long monitoring program. The treatment plant’s Larry Sanford says we might find that these things really don’t have a big impact on us, but they might have an effect on other things. "The things that live in the water are much smaller, and there may be an impact on them," said Sanford. "And it may be something that would be worth doing something about." Researchers are looking at what these low-level contaminants are doing to fish. We’ll take a look at that in our next report. Michigan Radio's Rebecca Williams gathered much of the tape for this story, and in doing so she spoke with Professor Nancy Love of the University of Michigan. Love teaches in the Department of Civil and Environmental Engineering and focuses her work on how environmental biotechnology and engineered water quality treatment systems can clean up these trace chemicals. The two discussed reverse osmosis treatment systems, and Love agreed that such a system does a good job of removing many contaminants. She said it's often difficult to know what might be in bottled water, but if the label says "treated by reverse osmosis," it's a sign that the water has been treated well. There's not much we can do about the drugs we excrete (drugmakers could work to make sure we use more of the available medicine, rather than excrete it), but if we have left over medicine in the house, we should NOT flush it down the toilet. Here's what the FDA recommends. If you have susceptible people living in your house (kids, or people struggling with substance abuse), you might want to go through the process of disposing the drugs in the trash, rather than storing them in your home while you wait to take them to a drug take-back program. 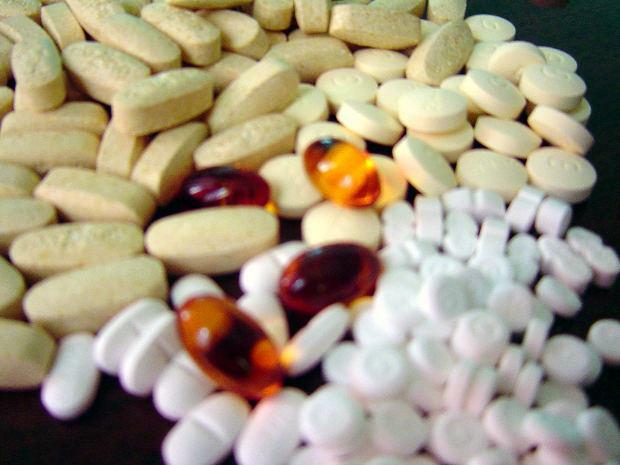 We excrete these drugs or dump them down the drain, and they find their way into our water. Pharmaceuticals and personal care products (PPCPs) in rivers and lakes have been documented before, but this research finds levels in Lake Michigan that could have deleterious effects on the ecosystem. Thirty-two different drugs were found - 14 of them were found at levels "of medium or high ecological risk." The environmental risk of PPCPs in large lake systems, such as the Great Lakes, has been questioned due to high dilution; however, the concentrations found in this study, and their corresponding risk quotient, indicate a significant threat by PPCPs to the health of the Great Lakes, particularly near shore organisms. Brian Bienkowski wrote about the study for Environmental Health News. Of the 14 chemicals found in concentrations of concern, Bienkowski writes triclosan has been studied the most. ...it has proven acutely toxic to algae and can act as a hormone disruptor in fish. A research expedition recently set sail from Chicago to search for a Great Lakes garbage patch. So-called "garbage patches" or islands are actually collections of tiny plastic particles that are choking up regions of the world’s oceans. The expedition has been testing the waters of Lakes Huron and Michigan for a similar phenomenon. 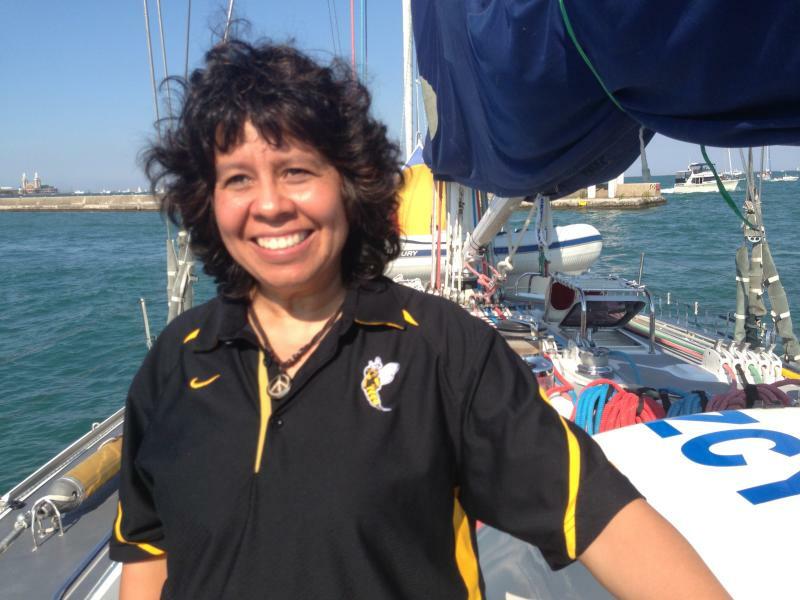 I met up with expedition organizer Asta Mail at a marina in downtown Chicago. It’s a hot day, and a street vendor immediately offers us bottled water. Mail points down at a plastic bottle in Lake Michigan. It’s pretty easy plastic hunting. An interview with Laura Rubin, executive director of the Huron River Watershed Council of Southeast Michigan. It's been nearly a year since we launched Stateside, and we've put a lot of focus and attention on issues regarding our Great Lakes. 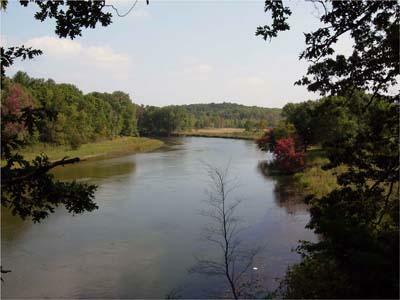 Today, we shifted our attention to another essential part of Michigan's water wonderland: our rivers and inland waters. How healthy are they? And what do we need to do as a state to preserve and protect them? Laura Rubin, executive director of the Huron River Watershed Council of Southeast Michigan, joined us today.